Now is your opportunity to own this luxurious 6 bedroom/5 bathroom, 5650 sq ft estate in the heart of highly sought-after North Tustin. The foyer has soaring ceilings, an iconic chandelier, marble floors and a beautiful curved staircase. A grand living room with a fireplace is adjacent to the formal dining area, offering the opportunity for casual/formal entertaining. An office/library/game room is tucked off the living room. The gourmet kitchen includes a chef's stainless 6-burner stove, ample granite counter space, a large island, and a new stainless dishwasher. The spacious family room, featuring a fireplace and wet bar, presents a cozy area to entertain/relax. Upstairs you will find an upscale master suite with a generous walk-in closet, sitting area, a private balcony and fireplace. The master bathroom has upgraded cabinets with granite, double sinks, a makeup counter, a separate shower and a large jetted tub. Upstairs you will also find the remaining 5 bedrooms, 3 baths, and a laundry room with sink and ample floor to ceiling storage. The home has a 3-car attached garage with direct access. This well-kept home shouldn't need anything for some time as newly completed work includes carpeting/flooring and fresh modern paint inside and out. Recent upgrades include a newer roof, on-demand water heater, furnaces and air conditioners. 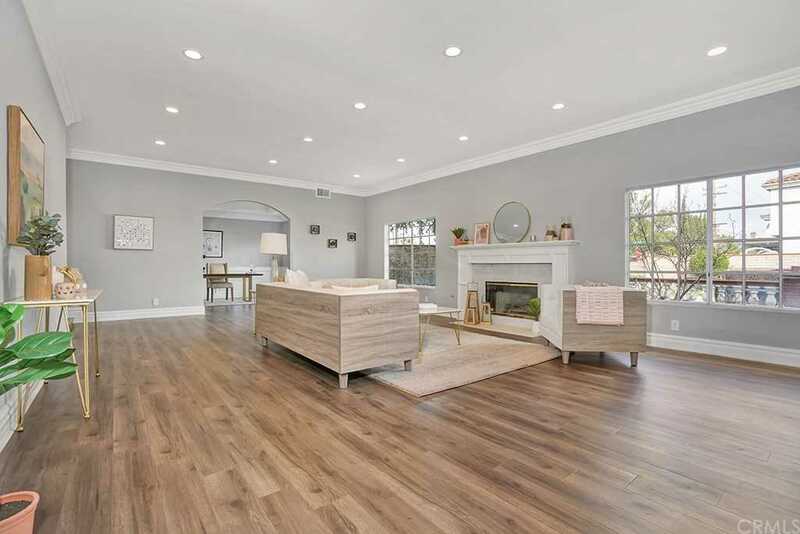 This grand family home is move-in ready and represents an excellent value for a home of this size in North Tustin!!! SchoolsClick map icons below to view information for schools near 18752 Deep Well Road North Tustin, CA 92705. Listing provided courtesy of Casey Eidsvold, First Team Real Estate.